When searching for a home in a new city, you may be weighing your options between a condominium unit and a house. There are perks and pitfalls to both living options. You will have to consider the components and decide which type of home is the best fit for you. One of the main considerations for purchasing a condo is that it can be less expensive than a house. Many first-time homebuyers might consider a condo because it is less of a financial commitment. If you will be working in a downtown or metro area and desire a home that is nearby, a condo can help you achieve an urban lifestyle. If your goals include being able to walk to work, nearby restaurants, entertainment and nightlife, then a condo may be a great fit for you. Condos are also more convenient and low-maintenance. Their owners don’t have to spend time mowing lawns or engaged in exterior maintenance work. The utility bills for condos are also generally lower than those associated with a home, since condos are usually smaller. Common areas can also include amenities like a pool or workout room which you are able to use and don’t have to spend time maintaining. While condos are less expensive than a standalone home, the monthly association fees can vary widely and are often more expensive than the HOA fees that homeowners pay. Association fees are used towards building maintenance and amenities like the pool, workout room, security, etc. Before purchasing a condo, you will want to make sure at least 10 percent of the association’s annual budget goes into a reserve fund. If there is a major repair that can’t be delayed and there isn’t enough money in the reserves, you may be required to pay an assessment which can range from a small amount to thousands of dollars. Condos don’t retain their value as well as homes, so they can be more difficult to sell. 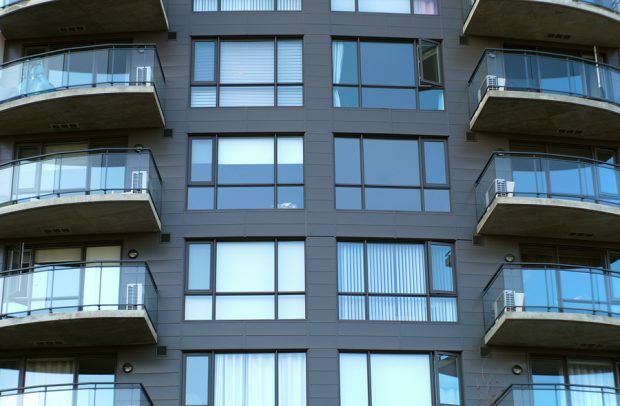 In addition, when it comes to selling your condo, you will have more competition because there are other neighbors who have the exact unit or a unit very similar to yours. One of the best things about owning a home is that all of it is yours! There are no shared walls or downstairs neighbors, so you don’t have to contend with unwanted noise and have greater privacy. Houses are also usually larger and come with a yard. This makes it easier to accommodate children and pets. Most of the cons associated with a house have to do with cost. Houses typically have a larger mortgage. As a homeowner, you alone are responsible for all maintenance and upkeep of your home. In a condo you share the cost of maintenance and upkeep with the other condo owners. Since you are responsible for the entire property, you will also spend more on tools and equipment like a lawnmower, etc. The home buying process can be long and complicated, especially when you have many choices like an open or closed floor plan. But, if you spend time researching your different options, you will be better prepared to choose the type of home that is right for you! Here are some other unconventional abodes to consider.. When you are ready to move into your new home or condo, we would love to help!